We've Moved! Welcome to Social Ink's new DUMBO HQ. We’ve taken the plunge and joined Brooklyn’s vibrant tech and creative community in the beautiful DUMBO neighborhood of Brooklyn. Our new digs are in the Green Desk co-working space, in a sun-dappled office with window views of the river and the Empire State Building. We share this prime real estate with some awesome neighbors–shout out to the Brooklyn Brew Shop, Public Policy Lab, the Drupal Association, and Food and Water Watch. Our new address is 155 Water St., Brooklyn, NY 11201. Won’t you come down for a visit? More photos inside! Social Ink recently helped to develop the logo and online presence for a critical initiative of the Mental Health Association of New York City. 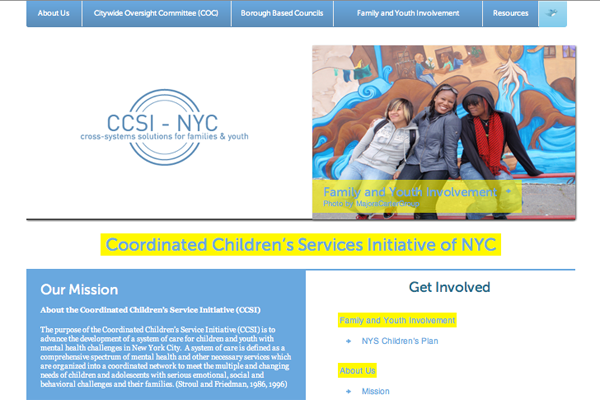 The Coordinated Children’s Service Initiative (CCSI) works to further the system of care for children with mental health challenges in NYC through a synchronized network of services. With the design of a new logo and the institution of graphic standards, our team created a website that highlights critical information and allows for improved accessibility to resources and referrals for families. Read more about it on our portfolio page or click on over to the site! 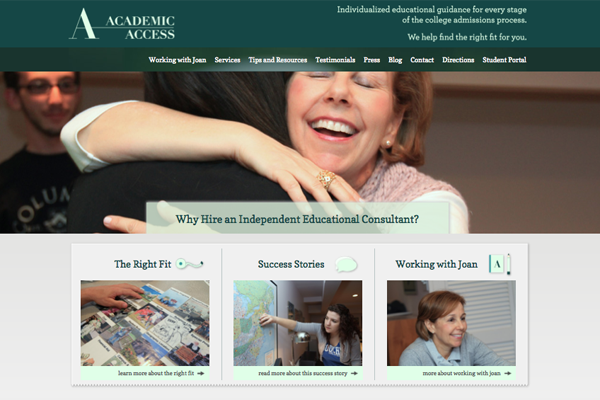 Social Ink is pleased to announce the launch of academic-access.com, a small consultancy based in the Philadelphia area that provides individualized educational guidance for every stage of the college admissions process. Our team crafted a new logo, visual identity and interface design in addition to providing image consulting services. Backed by a robust CMS, the site features full-bleed slideshows, custom content types, and strong SEO. Read more about it on our portfolio page or click on over to the site!